Ranch Colony, established in 1982 is a gated 2,000 acre development in western Jupiter featuring 257 home sites in 5 communites. Old Trail, featuring Tom Fazio and Arthur Hills courses contains 74 homes on .75 acre lots. 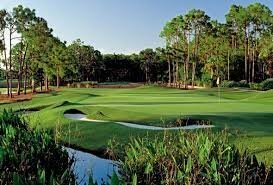 The Links with the Dye Preserve golf course built by Pete Dye offers 50 homes on 1-5 acre lots. Tailwinds is a private airstrip community with 51 homes and a 2,700' lit hard surface airstrip. Ranch Acres has 5 to 9 acre homesites and Ranch Estates, (known by equestrian lovers) features 20- 50 acre parcels, surrounded by preserve and estuaries. Ranch Colony is located in Martin County and is close to I95 and the Florida Turnpike.